The Hindustan Aeronautics Limited has floated a limited tender for the purchase of AESA (active electronically scanned array) radars for an under-development Light Combat Aircraft 'Tejas' from global aviation firms. "The tender in the form of Expression of Interest (EoI) was floated on Wednesday to five of the global aviation technology firms," a top HAL source said. The EoI was floated by the Aviation Research and Design Centre (ARDC), one of the 10 design centres of HAL, which is engaged in the design and development of LCA 'Tejas', source added. The source said Israel is a front-runner in the race, along with a firm from the United States. The India head of one of the contender companies told IANS on the condition of anonymity: "We have been in touch with the HAL for the last two years. We have given them an extensive presentation on the matter." The HAL has been engaging with global manufacturers vis-a-vis the AESA radars. "The imported radar will require customisation to suit the LCA's requirements and this will be done jointly by the ARDC and the vendor," the source added. "It is not yet clear whether some of the radars will be manufactured in India or be a totally off-the-shelf purchase," he added. By current estimates, around 100 radars are expected to be procured through this tender. 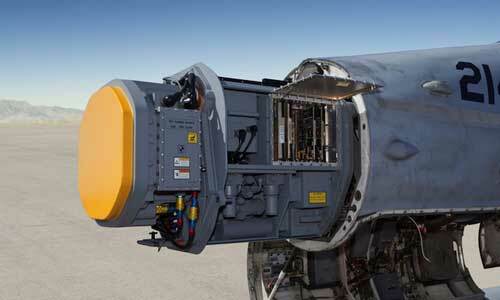 An AESA radar detects flying objects through electronic steering of radio waves. The advanced radars are considered significantly better than mechanical scanning radars. The Bengaluru-based Electronics and Radar Development Establishment (LRDE) of the Defence Research and Development Organisation (DRDO) is developing AESA radar for Tejas Mark II. The LRDE is expected to deliver the radars to the HAL by 2018. The government last month cleared a proposal for the purchase of 83 LCA MK1As for the Indian Air Force. According to an earlier plan, LCA Mk-II were to be fitted with AESA radars. The Mk1A, a stopgap version of the aircraft to replenish depleting fighter squadron strength of the Indian Air Force, has been cleared for fitment with imported AESA radars. Indigenous Tejas received its 'Release to Service Certificate', also known as Initial Operational Clearance-II, in December 2013. The Initial Operational Clearance-1 for the fighter jet was achieved in January 2011. In July, the HAL delivered first two of these aircraft for IAF's Flying Daggers 45, the first LCA squadron. Subsequently, the third aircraft was delivered to the IAF. The squadron is located in Bengaluru. The HAL is currently manufacturing eight Tejas per year and by 2018 the manufacturing capacity is expected to be doubled.